... (click) B... (click again) Because they can spend years at C! ... (click) A... (click again) Arrr, me hearty!!! ... (click) T... (click again) They already have all the booty! ... (click) A... (click again) A sunken chest with no booty! 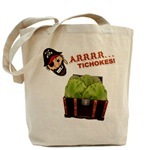 ... (click) S... (click again) Shiver me timbers! ... (click) H... (click again) HIGH SEAS! ... (click) T... (click again) They both say "YO HO!" and walk with a limp! ... (click) B... (click again) Because their fathers insist that there are seven Cs!!! !